Our most important goal is to provide you with the healthy, straight, beautiful smile that you’ve always wanted! Choosing to receive orthodontic care is a big decision and everyone has different reasons for wanting to improve the look of their teeth. Whether it is more for functional reasons or aesthetics, we respect your reasons for wanting to improve the way you look and feel. 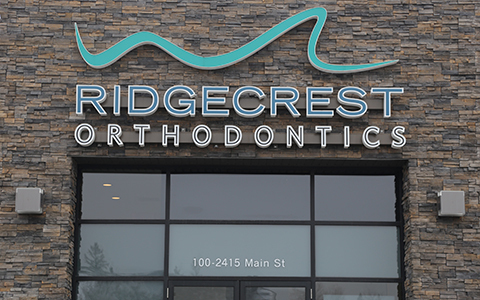 Our team with help you every step of the way to make sure you’re comfortable and that your orthodontic care is as rewarding as possible. At our clinic we utilize the latest technology, offering a variety of safe and gentle treatment options to give you the customized, individual care you deserve. Your initial consultation will give you the opportunity to meet Dr. Laberge and our team, receive a complete initial exam, and find out which treatment options will best meet your needs. Ask you to fill out our Dental and Medical history forms so that we can provide the best care tailored to you. Our team is always happy to answer any questions you have along the way! We are here to help in anyway we can from insurance coverage to any questions you have about treatment. Please contact us today to schedule your initial consultation! What to expect after the initial consultation? After your consultation, we will arrange to take diagnostic records, which consist usually of a Panoramic X-ray, Cephalometric X-ray, photos and impressions for cast models. Dr. Laberge will use these diagnostic records to help finalize your treatment plan and make sure there are no steps we need to take before the orthodontic appliance is placed. After this appointment you are that much closer to your new smile! On average, your orthodontic appointments will be about every eight to ten weeks. It is very important that we see you on a regular bases so that we can monitor your progress and make sure you are progressing as planned. Our administrative coordinators will work with you to find an appointment time that is as convenient as possible. Please let us know when scheduling appointments what days and times work best for you. We understand that “life gets busy”! If you’re running late for your appointment or need to reschedule, please let us know and we will do everything we can to accommodate you. DO I STILL NEED TO VISIT MY REGULAR DENTIST DURING ORTHODONTIC TREATMENT? Yes! It is very important to continue to see your family dentist once every 6 months for your regular check ups and cleanings. If extra dental care is needed, we will be happy to coordinate with your family dentist to make sure that you are receiving the best care possible.